Like many Americans, I was left with a heavy heart after the election. While I was shocked by the outcome, much of the heaviness came from observing the whole election cycle. The outcome was just the icing on the cake of the most irrational presidential race in recent history. 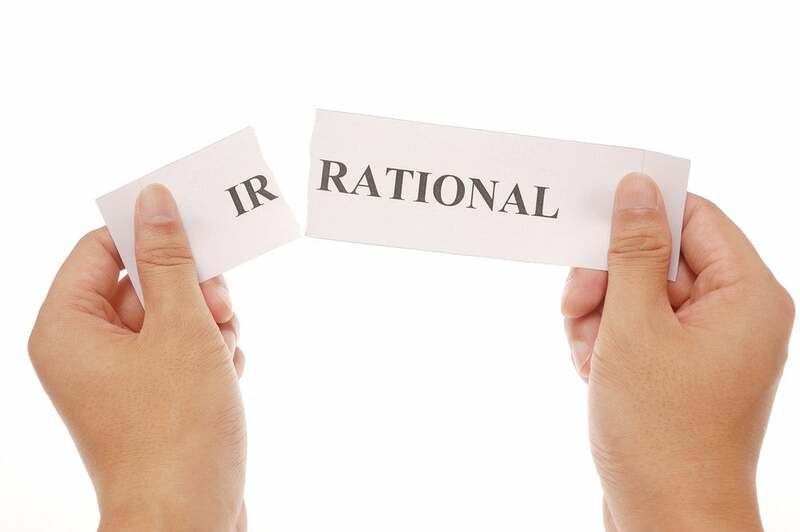 Now that the initial shock is passing, we can take stock and reflect on how to deal with what this election cycle demonstrated is perhaps the worst problem in American politics - irrationality. 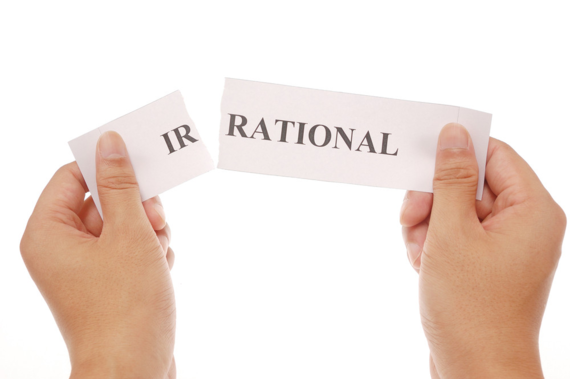 Rationality refers to the ability to assess reality accurately and thereby make wise decisions to reach one's goals. This election has been a testament to the current inability of very many voters to make correct assessments of reality, leading them to make bad political decisions. Research in psychology, cognitive neuroscience, and behavioral economics shows that we make such irrational assessments and poor decisions because of thinking errors in how the human mind is wired. We tend to think of ourselves as rational creatures who form our opinions based on logical facts. In reality, our emotions play a much larger role in influencing our beliefs than we intuitively perceive. Politicians skilled in the psychology of persuasion can take advantage of our thinking errors to manipulate us. Unless we are paying attention, we are highly likely to be influenced by their appeals to these flawed patterns of feeling and thinking, and make biased political decisions. As an example, most voters on the eve of the election perceived Donald Trump as more trustworthy than Hillary Clinton, despite nonpartisan fact-checkers such as Politifact showing that Trump lies much more often than Clinton. This false perception came from the Trump campaign successfully manipulating many voters into believing that Clinton is less honest, in spite of the evidence that she is much more honest than Trump. The Trump campaign did so through the illusory truth effect, a thinking error in our minds that happens when false statements are repeated many times and we begin to see them as true. The illusory truth effect was used extensively by Trump throughout the campaign. Consider Trump's relentless repetition of the claim that NAFTA is the "worst deal ever signed" and cost Americans "millions of jobs." Despite the fact that experts disagree on the impact of NAFTA on the U.S. job market, Trump has successfully convinced many millions that NAFTA is terrible. Proposing a ban on all Muslims coming to the US and more recently extreme vetting of them, as well as a particular focus on policing Muslim neighborhoods and monitoring mosques, is another example of Trump playing to our thinking errors. Concern about terrorism is one of the biggest worries for the US population. Yet it has been over a decade since any Americans died from attacks in the US committed by terrorists who were not either US citizens or legal permanent residents. This makes Trump's policy proposal irrational in the sense that it does not respond to a realistic assessment of the threat of terrorism. Instead, it appeals to the horns effect, a thinking error where negative emotions about one topic - in this case, terrorism perpetrated by radical Islamic extremists - gets spread to all Muslims, regardless of the irrationality of such thinking. What about the proposal to monitor American Muslims - the ones who did commit some terrorist acts? Let's take a look at the numbers. In 2015, according to johnstonarchive.net, there were seven terrorist acts in the United States, with nine terrorists altogether. Six of the nine were motivated, in some part, by Muslim beliefs. A 2011 survey estimated that the United States had 1.8 million Muslim adults. Dividing the number of Muslim adults by the six who committed terrorist acts gives you a one-in-300,000 chance that any Muslim you see would commit a terrorist act in one year. That's like picking out a terrorist randomly from the number of people in several football stadiums. Applying this sort of probabilistic thinking is a research-based way to deal with any form of fear. It allows us to see whether the anxious thoughts are realistic. We can see that being Muslim is a very poor statistical indicator of whether someone is a terrorist, making fears of Muslims irrational. The Clinton campaign appealed to human irrationality as well, if to a much lesser extent, and mostly in response to the Trump campaign's very effective strategies to appeal to irrational thinking. Consider the comment by Clinton that half of Trump's supporters belong in the "basket of deplorables" and are "irredeemable" through being sexist, racist, and homophobic. Such commentary appeals to the horns effect by associating "deplorable" with a large proportion of the US population. Yet consider someone who was convinced by Trump's rhetoric that Muslims are to be feared. This person has developed irrationally racist beliefs, yet does this make the person inherently deplorable or irredeemable? Certainly not! At least she apologized for this comment later, yet such rhetoric represents the perspectives of many liberals. Many will claim that this unrealistic, that US citizens are inherently irrational in their politics. I beg to disagree. Over the last few months, I have published many articles in prominent venues, and appeared on a number of TV and radio programs, to talk about how to make politics more rational. Many people emailed me expressing gratitude for the chance to learn about how politicians try to manipulate them, and asking how they can most effectively learn how to make rational political assessments. These people ranged across the political spectrum in their views, from the most conservative to the most liberal. What they all had in common was caring about the truth first and foremost. Making politics less irrational by helping people make accurate assessments of reality is a bipartisan issue. Everyone wins by having more rational citizens, except those politicians who rely on misleading and manipulative rhetoric to sway voters. Unfortunately, this election cycle shows how effective it can be to appeal to human irrationality. The future is dark if we do not focus our efforts on addressing this problem in our political system, which is core to all other problems. Despite the apparent polarization of American politics, we do have shared goals as a society, including economic prosperity, peaceful coexistence, safety and security. Our only hope of coming together to bridge our polarized nation and collaborate to achieve these goals is to increase rationality in the political process as a whole.